We've collected some of the most commonly-used intaQt Studio shortcuts that customers use in their projects. These shortcuts support finding files and steps, refactoring and edit test cases, inspecting errors as well as creating documentation and notes that help you understand your projects better. Take a look through these shortcuts and try them out for yourself! 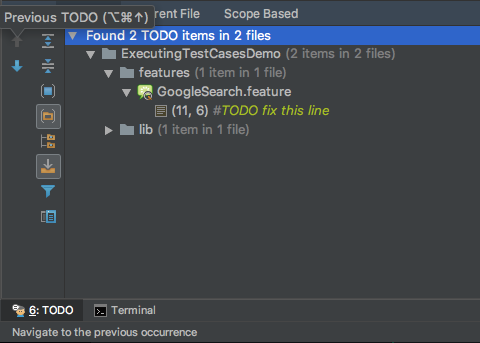 When working in large projects with multiple directories, use the Find shortcut to search for a file by name. 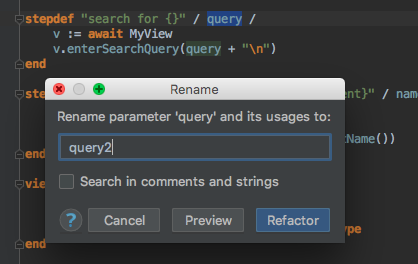 This is often easier than manually searching through a project. Linux/Windows: CTRL + SHIFT + N and start typing the file name. Mac OS: COMMAND + SHIFT + N and start typing the file name. Auto-Complete helps find the file. 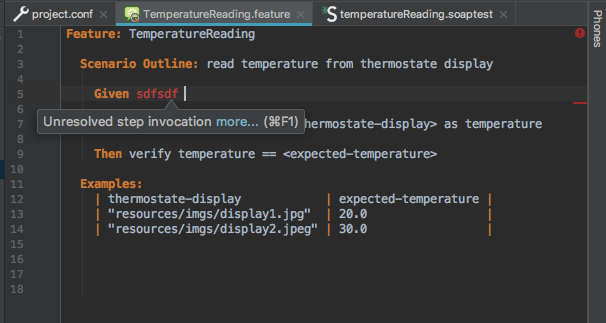 intaQt Studio interprets comments written above stepdefs (those marked with //) as documentation. Linux/Windows: Hover over the step and type CTRL + Q.
Mac OS: Hover over the step and type CTRL + J + ,. Linux/Mac OS/Windows: CTRL + SHIFT + F and start typing parts of the Stepdef. 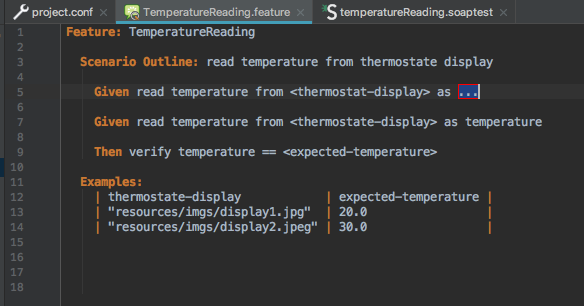 For example, if we know we have a read temperature step, we can start typing read temp and intaQt Studio will list all files in the project that contain those terms. Mac OS: COMMAND + . intaQt Studio will search through all matches and find the best possible match. Note: Many intaQt users prefer to use auto-completion features instead of the search feature. 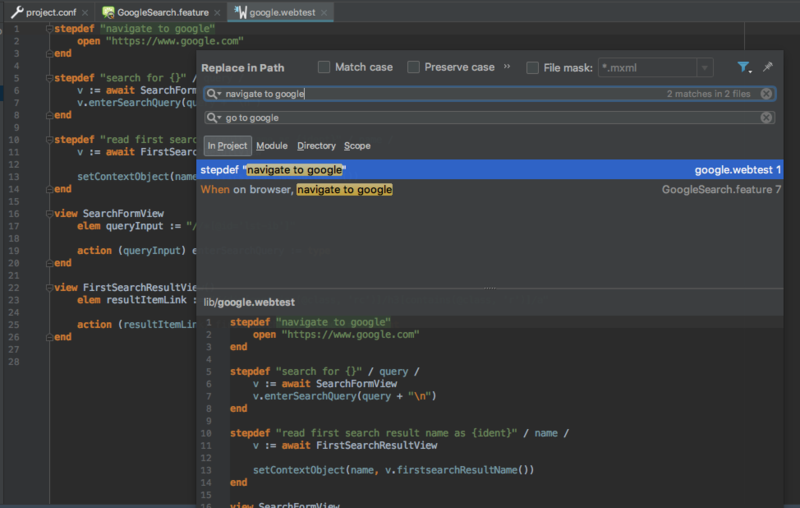 intaQt Studio provides auto-completion functionality to help you find different elements from your test case. Scenario Outlines are useful for when you want to execute multiple versions of a test case with different parameters. For example, our TemperatureReading test checks for different expected temperatures by iterating through different variables. Scenario Outlines contain Examples tables, which are populated by the variables that intaQt will iterate over. Because most Scenario Outlines contain multiple variables, copying rows and changing the variables saves quite a bit of time. Mac OS: COMMAND + C.
Shift + Enter to jump to the next line. Mac OS: COMMAND + V.
CTRL + Y deletes the selected lines. Mac OS: COMMAND + D.
COMMAND + Y deletes the selected lines. 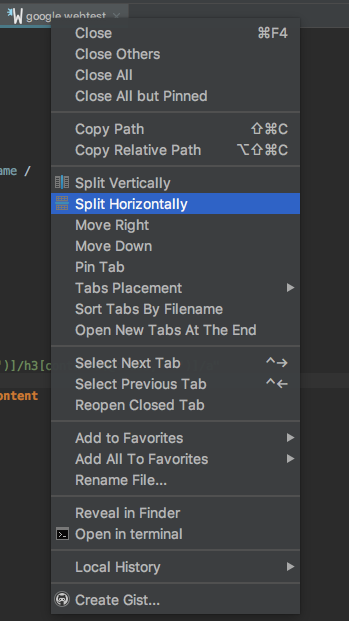 Linux/windows: Place cursor over the step + CTRL + B.
Mac OS: Place cursor over the step + CTRL + B.
Alternately, hovering over Stepdef and using the CTRL + B/COMMAND + B shortcut will bring you to the step in its Feature File. 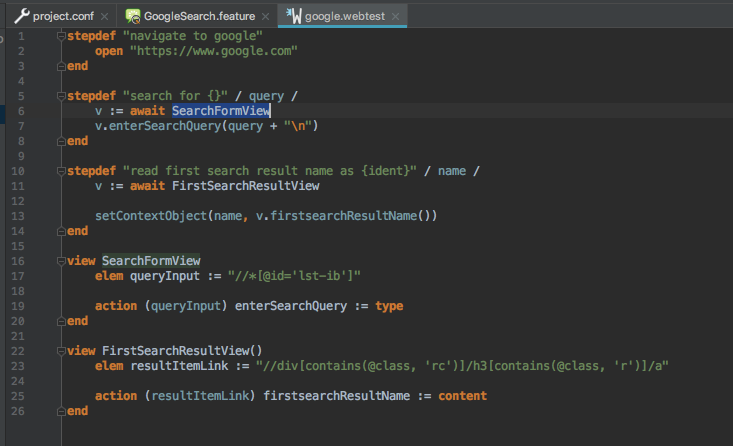 We’re going to switch to a Webtest file for the rest of this article to demonstrate some additional functionality, including Webtest-specific functionality. 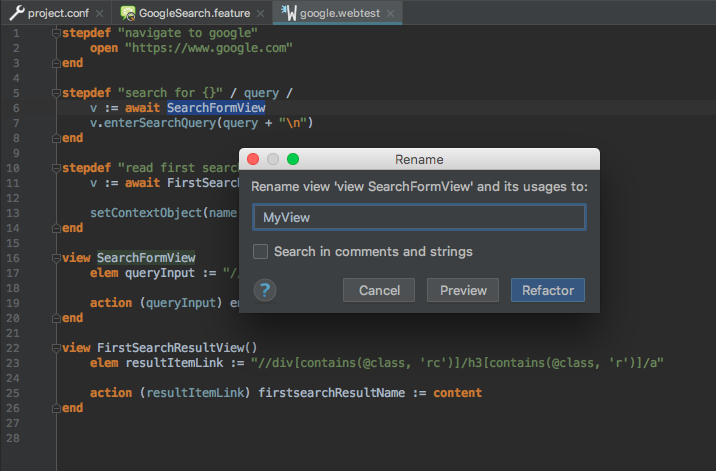 Linux/Windows: CTRL + ALT + L.
Mac OS: COMMAND + ALT + L.
In the example above, highlighting the SearchFormView reference in the Stepdef starting at line 5 also highlights the View called SearchFormView on line 16. Using CTRL + B (Linux/Windows User) or COMMAND + B(Mac OS User) toggles between the references. This approach is quite error prone, which is why we recommend rename refactoring. 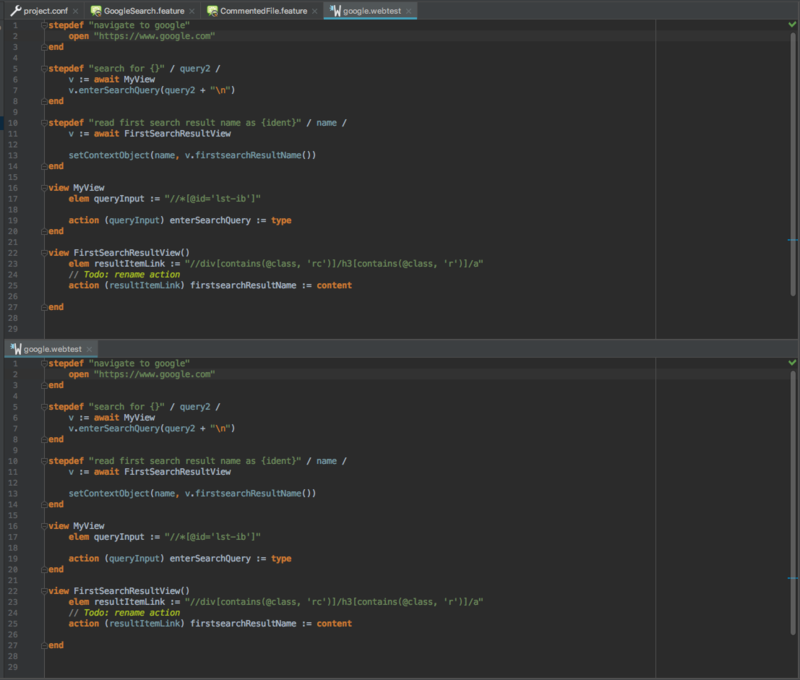 Another frequent use case involves modifying multiple lines at the same time. To fix this, we’ll use the multiple cursor so that we can modify all of the Actions by using SHIFT + ALT + CLICK an selecting each line that you want to apply the cursor to. 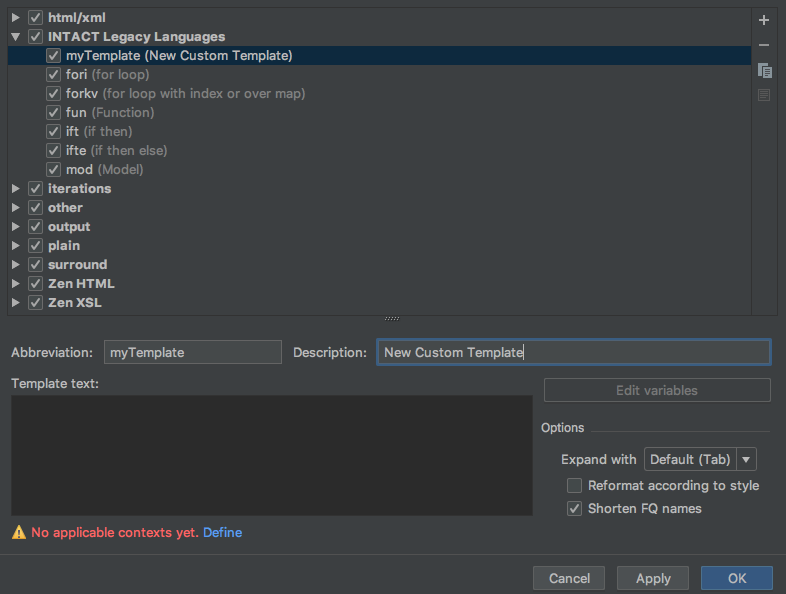 Linux/Windows: File -> Settings -> Live Templates -> intaQt Legacy Languages. 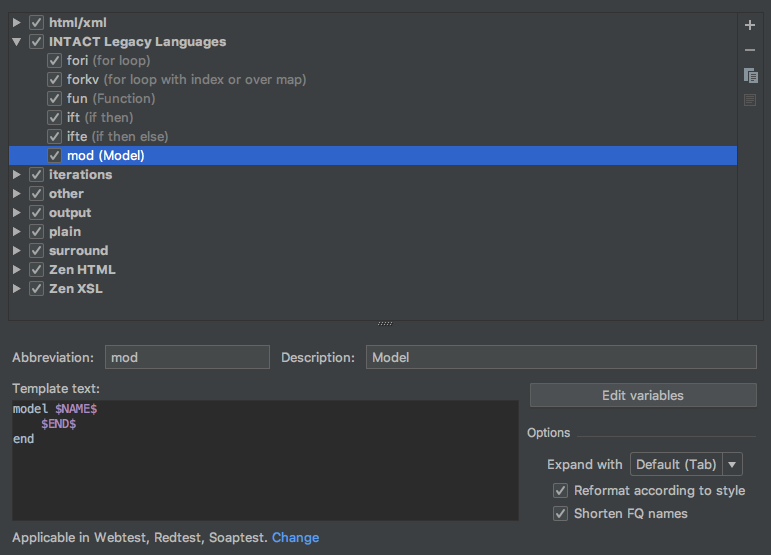 Mac OS: IntelliJ Idea -> Preferences... -> Editor -> Live Templates -> intaQt Legacy Languages. Want to learn more about the basics of intaQt Studio? 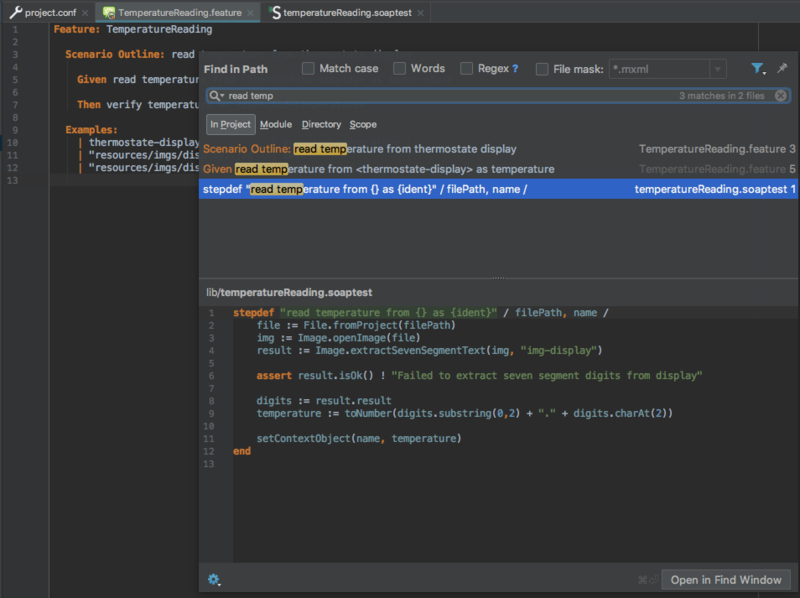 Check out our tutorial video on Handling intaQt Studio!